The lawn really needed mowing today. It was to the point that when I walked on the grass my feet disappeared. 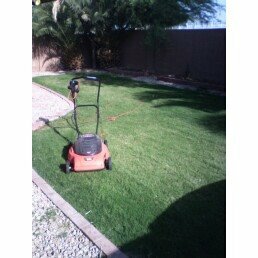 After a quick twenty minutes with the old Black & Decker electric mower front and back yards were done. Here’s a view of the back.